Google is growing its ads -- in size and in number. Later this year, Google is going to start handing over more space to advertisers, and allow their ads to pop up in loads of new places: Google Maps ads could even start showing up while you're driving. In an effort to boost its primary source of revenue (search) in the face of rapidly changing customer behavior (mobile), Google said it is making search ads bigger. Last year, Google (GOOGL) added a third ad at the top of its mobile search results page. But Google's latest changes are far more substantial. Google currently gives search advertisers 25 characters for a headline and 70 characters for a description. That's going up to 60 characters for a headline, split between two lines, and 80 description characters. In a blog post, Sridhar Ramaswamy, head of Google's ads business, called the new strategy "the biggest changes to our text ads since AdWords launched fifteen years ago." The results are promising -- for advertisers, anyway. The clickthrough rates on the new text-only ads are up 20% compared to the current ones, according to Google. Search ads aren't the only advertisements getting a makeover. 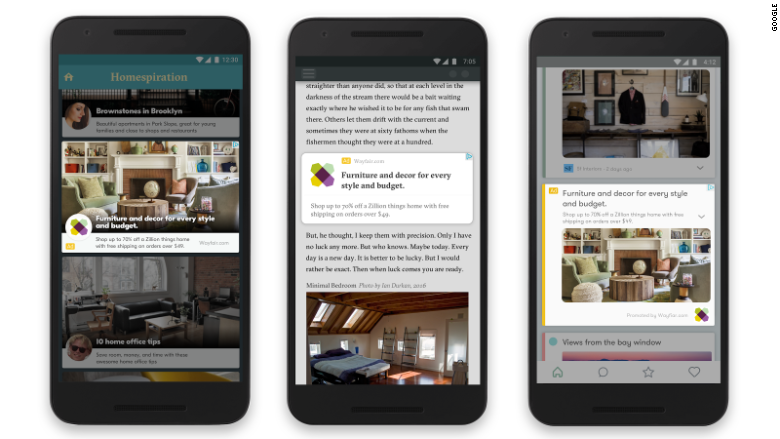 Google will be simplifying the work flow for businesses to create display ads with images. The company says advertisers need to "simply provide headlines, a description, an image, and a URL," and Google will automatically design ads for the business. Location-based ads will start showing up on Google too. If you search for "shoe store" or "car repair near me," ads for local businesses will populate the search results. Google is also redesigning local business pages, allowing customers to explore a store's inventor and get special offers. And Google suggested that Maps customers may start seeing "promoted pins" for coffee shops, gas stations or restaurants that are along their driving route. The new features, unveiled at Google's Performance Summit on Tuesday, will be rolling out later this year. 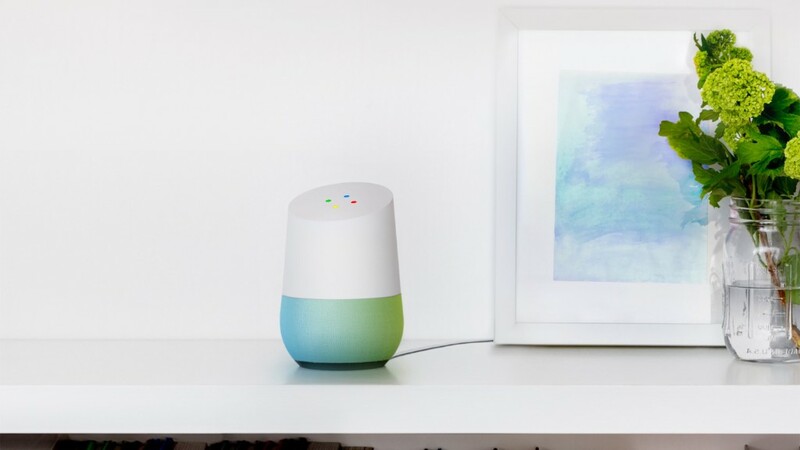 The changes come as Google is trying to stay ahead of customers' changing demands. Google isn't exactly struggling now In fact, mobile has been growing steadily. But eMarketer expects that to change -- Google's ad revenue is forecast to grow 9% this year, less than the 15% growth from 2015. Mobile ads are growing fast, but advertisers still aren't willing to pay as much for mobile ads as desktop. If Google can improve the effectiveness of its mobile ads, the company hopes it can force advertisers to pay more.